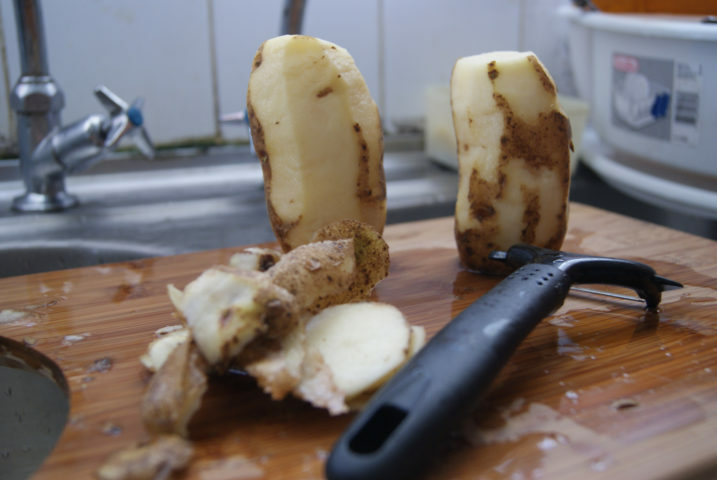 You’re Peeling Potatoes Wrong… How To Peel A Potato With Just Your Bare Hands! Geesh, where have I been? I cannot believe that I was never told how to peel potatoes properly! 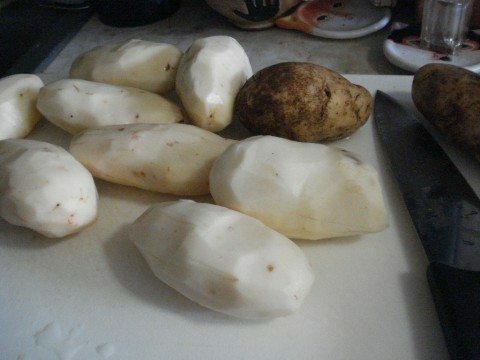 In the past, whenever I peeled potatoes (such as when making mashed potatoes), I just used a potato peeler and skinned them in the kitchen sink. Then, I boiled the peeled potatoes in hot water, and so on. But, as seen in this video, there’s a much easier way to peel a potato — just using your hands!